Safely add ClickWP to your Stripe account to enable us to configure your ecommerce and membership payment settings. Navigate to Business settings → Team. 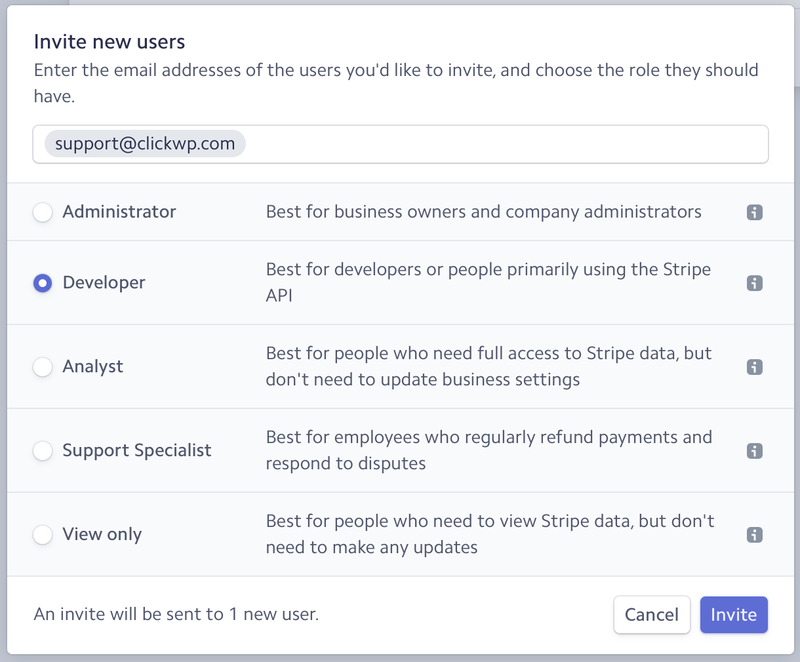 Here you are able to add ClickWP as a user to your Stripe account with limited permissions. Click the + New User button and invite support@clickwp.com with Developer privileges.